Shu cotton velvet, that is, weft knitted coral velvet, 288F. Soft to the touch, no lint, no ball, and a variety of styles. It is a fashionable and popular knitted fabric in the past two years. It is widely used in the production and processing of clothing, toys and bedding products, and is favored by domestic and foreign garment factories, supermarkets and traders. The production technology of Shu cotton wool was originally from the United States, and the latter technology was introduced to South Korea, which was introduced to China not long ago. It is a single-cell fiber formed by the thickening and enrichment of epidermal cells of cottonseed ovules. The main component is cellulose, and some varieties are more than 90%. Short linters with a length of 13 mm or more are available for spinning, and shorter than 13 mm are used as cellulose raw materials. 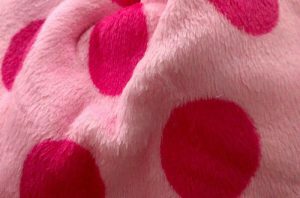 It is similar to fleece and is also a filiform plush texture for better warmth. 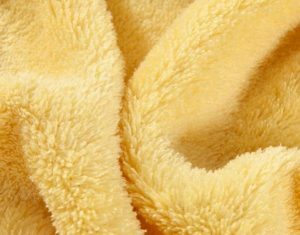 It is mostly used for plush toys, blankets and clothes linings, and is now popular on the surface of gifts and casual shoes. It is made of polyester yarn through a large circular machine (small and medium-sized), which is produced by weaving and pulling two parts, and finally dyeing is processed into cost. 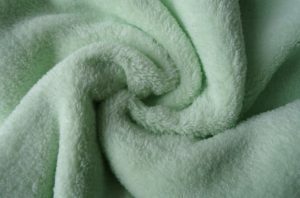 Compared with fleece, Shu cotton has the same fluffiness, warmth and environmental protection, but the cost is lower than that of fleece, and the ratio of defective products in the production process can be easily controlled. The market is gradually becoming a reasonable substitute for polar fleece. POY original yarn → one roller feeding → one hot box heating deformation → cooling → false twist → two roller feeding → two hot box heating setting → three roller feeding → oiling → DTY winding forming. Coral velvet generally has two types of 150D288F and 150D144F. Shu cotton velvet is generally 200D. The biggest difference is that the velvet is longer than the coral velvet, the weight is high, and the hand feels softer. Shu cotton velvet is also commonly known as long-haired coral velvet. 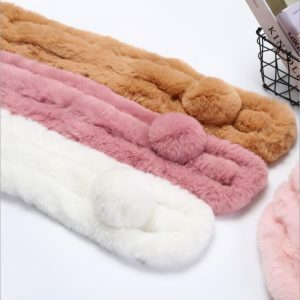 Coral fleece English name: coral fleece, because it is an emerging product, so the names of various English are also different. Coral velvet is made from imported DTY microfiber. Compared with other textiles, its advantages are particularly obvious: it is soft, delicate, lint-free and easy to dye. Soft to the touch: The single yarn is fine and has a small flexural modulus, so the fabric has outstanding softness. Good coverage: due to the high density between fibers and large specific surface area, the coverage is good. Good to take: Because the fiber has a large specific surface area, it has a high wicking effect and breathability, and it is comfortable to wear and has good decontamination: because the fabric is soft and can be closely adhered to the object to be wiped, it is very good. The cleaning effect. Optical: Since the specific surface area of ​​the fiber is large, the light reflection on the surface of the fiber assembly is poor, and therefore, the fabric made of the fiber is light and soft. Coral velvet is one of the newest and best-selling fabrics in textile fabrics. The product is characterized by soft handfeel, delicate texture and environmental protection. Mainly used in nightwear, baby products, children’s wear, clothing lining, shoes and hats, toys, interior jewelry, craft products, home accessories and other materials. In recent years, the home textile industry has become more and more popular. Cold water, non-rolling bucket washing machine, please put in the laundry bag. The dark color is washed for the first time, and the light color is fine. It can be machine washed. Wash at a temperature below 30 degrees; neutral detergent; not bleachable, not dry clean.